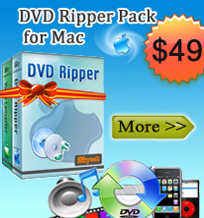 4Media Video Converter for Mac is powerful video and audio conversion software for Mac users specially. The Mac Video Converter can convert between almost all video and audio formats like MOV, AVI, WMV, MPEG1/2/4, 3GP, ASF, MP4, MP2, MP3, WMA, OGG, AAC, M4A, WAV and AC3 etc, i.e. excellent AVI Converter for Mac. Video Converter for Mac works perfectly for almost all popular video players like iPod, iPod touch, Apple TV, PSP, PS3, Zune, BlackBerry mobile phone, Archos, iRiver and Creative Zen etc. Besides these powerful functions, the Mac Video Converter provides versatile settings and features as well. You can take snapshot in preview window, trim the video and audio clip and set the output settings, such as destination and the name of the output files etc. It provides so simple, easy and fast conversion for you! Input format supported: almost all popular video formats like AVI, MP4, 3GP. AVI, MP4, MOV, MPEG-1, MPEG-2, RM, VOB, WMV, BlackBerry MPEG-4 video(.mp4), BlackBerry 3GP video(.3gp), BlackBerry AVI video(.avi), etc. Output format supported: MP3, WMA, OGG, AAC, M4A, WAV, AC3, and BlackBerry AMR audio(.amr). 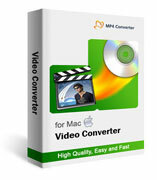 4Media Video Converter for Mac is powerful video and audio conversion software for Mac users specially. Video Converter for Mac works perfectly for almost all popular video players.Besides these powerful functions, the Mac Video Converter provides versatile settings and features as well. (1)Super fast speed provided (you can take mp4 format as a try). (2)So simple settings provided that almost few clicks to finish the whole conversion. (4)Trim function for video and audio clip supported. (5)Both default settings and professional ones provided. (6)Snapshot supported in preview process. (7)Number of the display profiles can be selected.